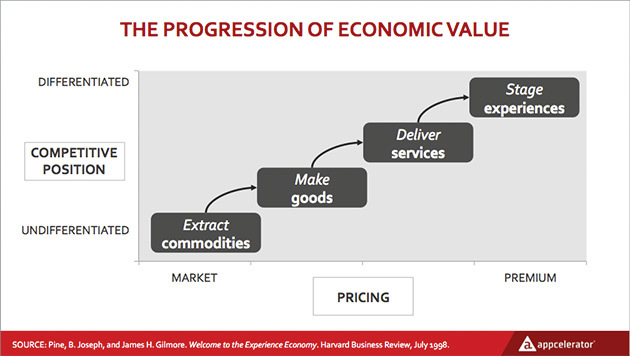 Fifteen years ago in an article for the Harvard Business Review, B. Joseph Pine and James Gilmore predicted the rise of what they called an Experience Economy. Their premise was that businesses, facing the commodification of almost every type of good or service, would be driven to offer exceptional experiences to customers as the last means of differentiation. While this thesis predated the rise of smart devices by a good eight years, it’s proved an eerily accurate prediction of our present world – one in which users expect anytime access to elegant, easy-to-use services, all running on their device of choice. Apple is a perfect example. Here’s a company that went from near bankruptcy to the most valuable company on the planet. How? With a renewed genius for delivering superior user experiences, via personal computers, smart devices and a tightly-controlled ecosystem to preserve the end user experience. In our mobile world, we find examples everywhere. Companies like Uber and Lyft, AirBnB and Zappos have vaulted into the market through well-designed app storefronts and superior experiences for customers. In many cases these are upstarts transforming long-standing verticals. They’ve achieved this by optimizing around “mobile moments,” as Forrester Research calls them, to disrupt larger players or existing processes with targeted, context-aware, anytime/anywhere experiences. As we’ve talked about earlier, users of every stripe now carry sky high expectations for their mobile experiences. This has major implications for how organizations approach mobile app development. What does a mobile API strategy have to do with great mobile experiences? Opportunity cost. Developers only have so many hours a day, and today they spend a big portion of those wrangling with the nuances of backend systems to unlock key data. That’s time not spent creating incredible user interfaces. Mobile APIs are the key to freeing developer time to focus on experience. The fact is that mobile APIs remove the headaches of navigating the arcane layers of the traditional stack and simplifies this world for mobile developers. It lets them focus on core app functionality – the experience – and leaves the plumbing work of fitting one pipe to another out of it. Immediate access – Developers get immediate access to data and are no longer dependent on getting the time and expertise from specialized teams who run the legacy systems or learning these intricate details themselves. 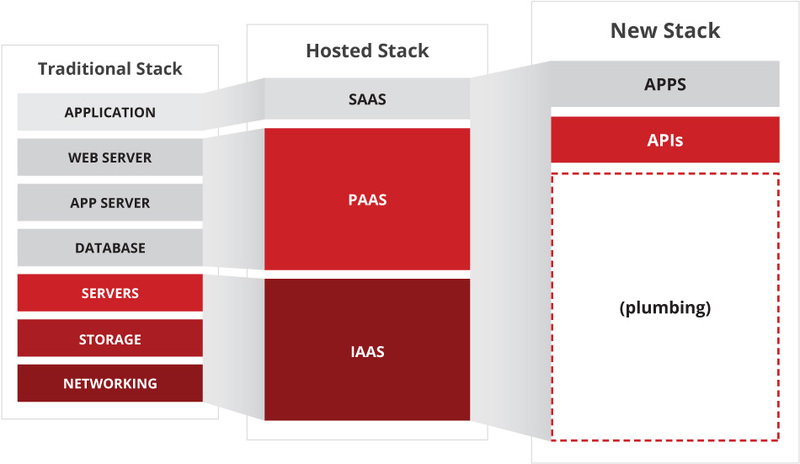 Insulate app delivery from legacy release cycles – API access to monolithic legacy systems allows app release cycles to be decoupled from the lengthy system of record releases. This lets app developers iterate quickly to deliver and improve upon user functionality. Minimize waste – A common set of APIs made available to developers means there is less wheel reinvention and duplicate functionality across your app portfolio and maintenance is easier. Proven functionality – Reusing an API means you get battle-tested capabilities. Delivery risk is lower and test time can be slashed. Future-proof your data access – with an array of new data demands on the horizon from wearables, smart products, and yet to be dreamed up “Internet of Things” scenarios, a common API layer that new devices can plug into minimizes the effort to support what’s coming next. Foster creative innovation – As I noted in a recent piece for ReadWrite, good mobile APIs are like Lego blocks: the better and more varied the collection of blocks you make available, the better and more creative the objects people build. Exposing APIs to employees and partners opens up the opportunity to innovate, improve business processes, and solve problems to a much broader ecosystem of contributors. So what makes a mobile API unique? Plenty. 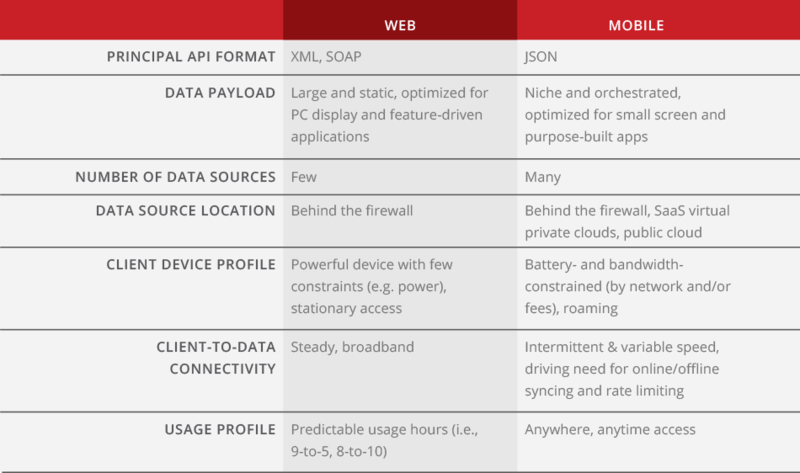 Mobile introduces widely varying types and sources of data, different formats and payload sizes, and different transaction volumes and usage profiles. One of the most critical differences is the end of connection persistence – we’re building for wandering users, and can no longer assume they’re tethered to a relatively stable, high bandwidth connection. Mobile is much more that just another channel. So where do you begin? Start by providing developers a set of mobile-optimized APIs for your high-demand corporate data sources: Salesforce, Oracle, SAP, Microsoft, etc. 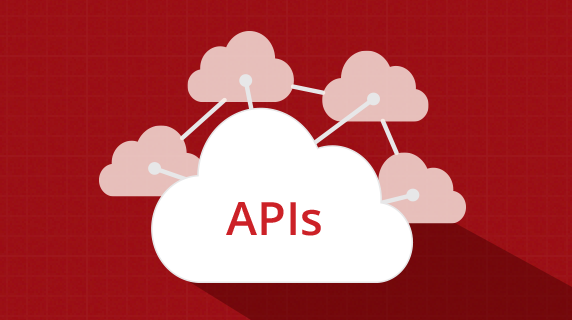 Give developers an easy way to create new APIs as needs arise. It should be one that accounts for the orchestration of data from multiple sources and can easily optimize payload size and transform the data from legacy (e.g. SOAP) to mobile (e.g. JSON) formats. The ability to browse a catalog of APIs and easily create new ones, will empower your developers and remove the long-standing integration bottlenecks from your deliveries. In the experience economy, smart companies win by enabling the innovation process through simplified access to data. With APIs, developers can focus more on experience, and less on “dumb plumbing,” putting all the focus back on the user. For more on building effective mobile APIs, see our e-booklet: APIs & MBaaS: How to Extend Your Enterprise Architecture for a Mobile World.